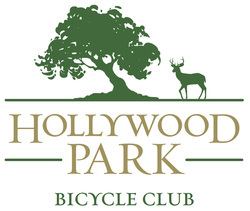 Who We Are: The Hollywood Park Bicycle Club is an "all ages, all abilities" bicycle club for the residents of Hollywood Park, TX. The club meets monthly and hosts two group rides each month. Mission: Create a community of cyclists that promote bicycling for fun, fitness and transportation. 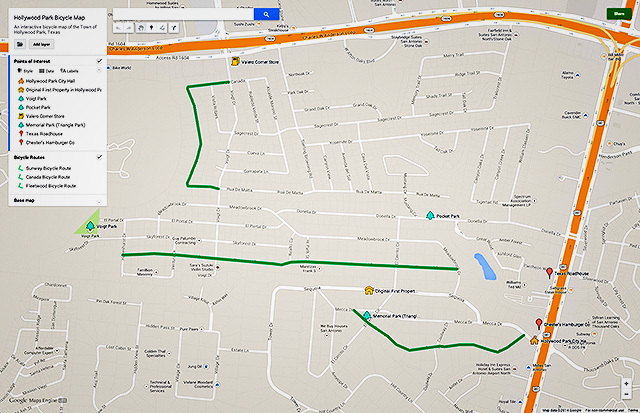 Highlights bicycle routes with less traffic and important points-of-interest for cyclists.